I haven't had a chance to go through this book yet but I've heard about it from a lot of different people. 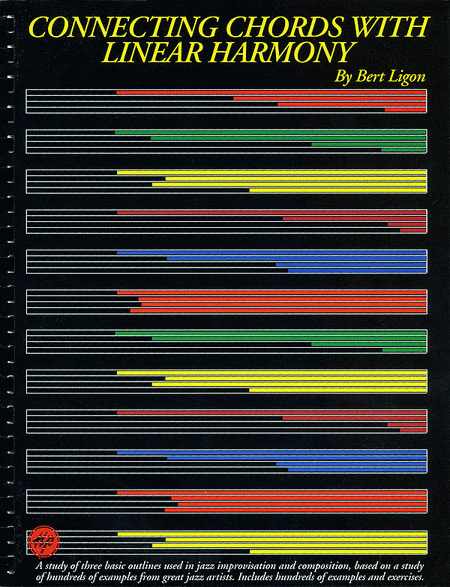 Not just this book, but others by Bert Ligon. Many of reviews I see have some common threads, the most common being that it is one of the best introductions to modern improvisation out there. I have seen some of his other books and can say that they are thorough, well written, and contain very detailed information. If I am able to take a look at this one at some point I'll post my own thoughts, but in essence, it sounds like this is a good book to have on your shelf. Here is an unsolicited review from our forums from "dnarkosis"
I've used this book for some time now and have found it enormously useful. It focuses on ii-V-I's. Do not let the simplicity of the outlines fool you. Once you get these basic forms under your fingers, it can get very sophisticated very quickly, but always with purpose, e.g., by using devices such as enclosure, chromatic approach notes, etc., all of which he discusses and demonstrates in melodic lines taken from recordings. I have practiced the patterns and variations using BIAB sequences going through all major and minor ii-V-I's with (1) 2 chords to a bar and (2) 1 chord to a bar (and, of course, using l.h. voicings beneath the lines). I have developed 4 variations for each pattern based on some of his suggestions (octave displacement, etc.). The patterns are designed to accustom the player to resolving guide tones (b7 to 3 and 9 to 5) and, after learning the simple patterns, to begin integrating melodic devices (enclosure, chromatic approaches) into the patterns to make them more musically interesting. How useful this is to you depends, of course, on your current level and your inclinations. It has helped me because I never quite knew how to connect guide tones or approach guide tones in any disciplined fashion. These are the first exercises I've ever done that have really gotten me accustomed to scales and arps in that sense rather than just playing them "out in outer space." I am only just now working on "burying" (as he calls it) these patterns in longer, more melodically interesting lines by using the devices he discusses. The result is that -- if I may describe it thus -- I can "see" or "sense" the actual primary scale notes or arp notes, as it were, printed in "red" against the background of the rest of the line printed in "black" -- if that makes sense. Imagine a long melodic passage written out on staff paper with the primary scale or arp tones printed in red, the rest of the line in black. One develops a sense for where one is inside a longer melodic line -- and that has been very valuable to me, since I normally felt I was just "somewhere" in the scale or arp. Now I almost always sense where I am. It's difficult to describe. In any event, have a look at the materials at his site. You can download the patterns (I think there are actually 4, not 3; if you get the book, contact me and I'll send you some Finale files) and try working with them a bit.